On Thai trains you’re able to have the windows down- fresh air in your face and a beautiful landscape. Hua Hin was the first time we did not pre-book our acommodation. Yikes, that was a mistake. Hua Hin was not in our guidebook, meaning we didn’t even have a map to refer to when we arrived. Our first mission was to find wifi so we could hunt for good deals. This proved harder than we thought. We also lacked the ambition to just walk to the few in our budget that we found online. We really didn’t want to be turned away or ripped off whilst carrying approx 16kg/35lbs of weight a piece. Again, this was a hard learned lesson. We did end up just venturing and hunting blindly for somewhere to stay. The streets we walked down were lined by bars which were filled with ‘Thai Bar Girls’. We were becoming increasingly desperate to put down our bags and followed signs to a guesthouse with rooms priced from 100-300 Bhat. Great! Actually…not great. In my opinion this is the most dire and gross place we’ve stayed to date. Luckily only for one night. Oye! We booked a different place for the next two nights- great price, clean and a check-in time of 9am. We left the guesthouse before 9 the next morning and were relieved that the pictures online were indeed accurate. Lesson learned. We headed to the beach that morning. 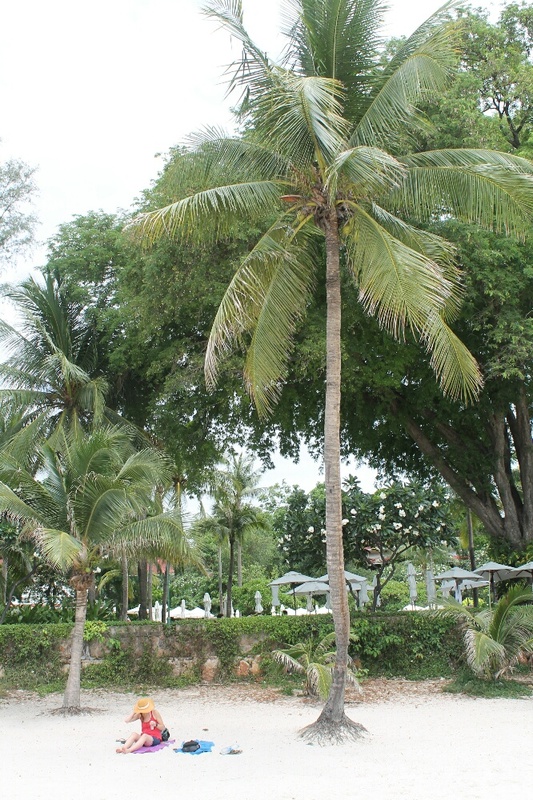 We found a lovely spot under a coconut tree, but not right under it…those things can and do fall. Hua Hin is on the Gulf of Thailand. The beach is okay and the water is like bath water. So nice and refreshing. It was nice just to relax and save some pennies. 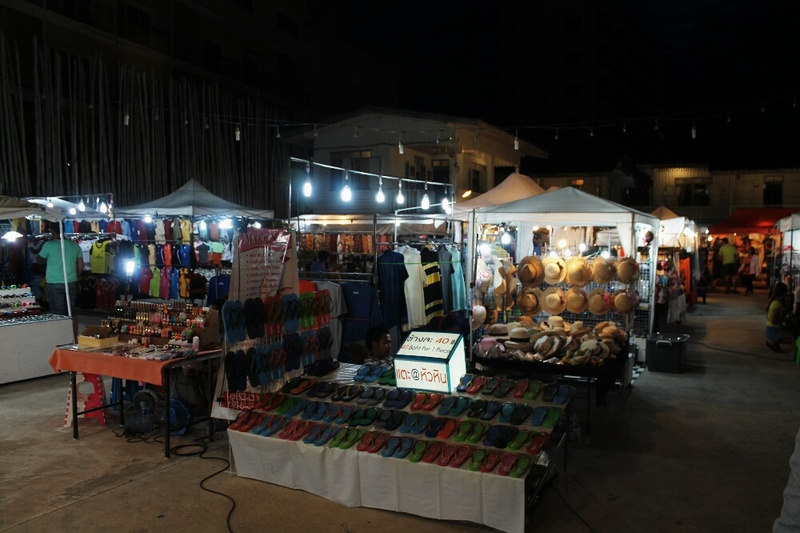 The evening night market in Hua Hin is absolutely worth the visit. Many independent artists fill the streets for what must be at least a mile. 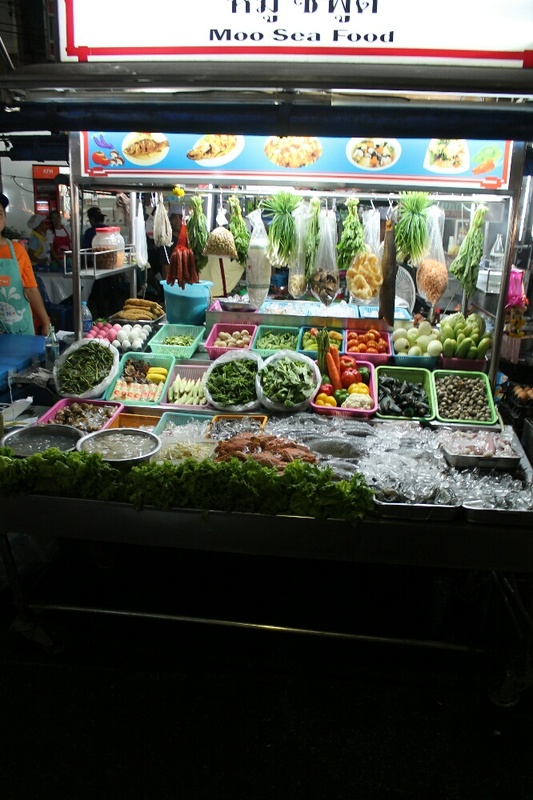 The goods at the night market seemed really quality and as always in Thailand, you can still get your knock-offs. Picked up a pair of knock-off RayBans for 100 Bhat…love it. Plenty of food and plenty of shopping with a good vibe and virtually no hassles. 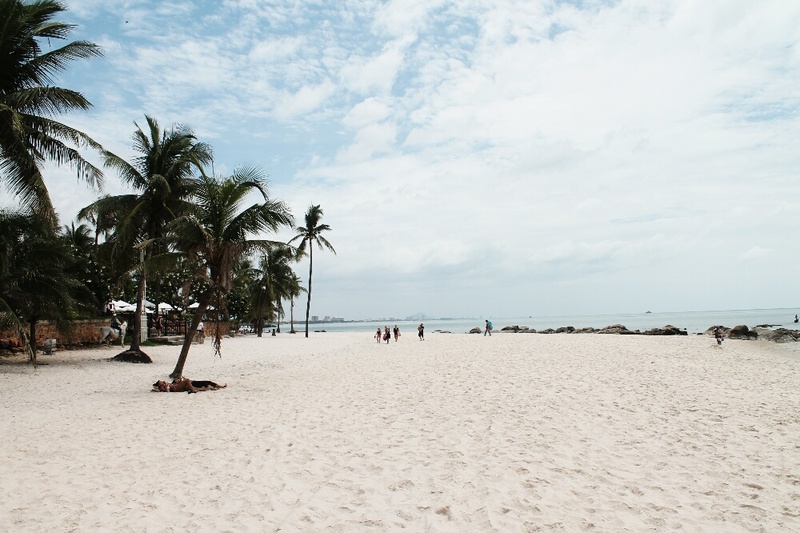 Our second day in Hua Hin was virtually a repeat of the first. However, this time we rented beach chairs with an umbrella. Brilliant. Next stop Thai Islands. Can’t wait! Posted on June 25, 2014 June 25, 2014 by themussmarter	This entry was posted in General MussMart News, Thailand and tagged Hua Hin, Thai Bar Girls, Thailand. Bookmark the permalink.